Charlie Burrell inherited Knepp Estate, a 3,500 acre dairy and arable farm in West Sussex in the 1980s. After farming intensively and unprofitably on the heavy clay for 17 years, in 2000 he embarked on a rewilding project based on a system of naturalistic grazing. It is the largest such project in lowland Britain and boasts extraordinary wildlife successes. What we’re talking about with ‘rewilding’ is ‘process-led’ conservation – something that can get nature working again in depleted areas. If you think of a spectrum with ‘wilderness’ at one end and completely controlled landscapes at the other (intensive farming, for example), rewilding can be anywhere on the spectrum between the kind of highly controlled nature areas (as might be managed by the RSPB to protect one or more particular species) and wilderness itself. We desperately need to find opportunities for nature – for functioning systems – across the board, where we all live, as well as in the wild, remote, inaccessible regions Steven talks about. The importance of Frans Vera’s work for rewilding – and I strongly urge Steven Robinson to read Grazing Ecology & Forest History – is that it gives us a different baseline for nature in our part of the world. Temperate-zone Europe, he demonstrates, was not ubiquitous closed canopy woodland but a far more open, diverse, fragmented landscape. It was a mosaic of habitats driven, in the main, by herds of large herbivores. Recent research in the UK into sub-fossil dung and saproxylic beetles, chalk grassland snails, light-demanding lichen and fungi endorse this view. Scientists continue to debate as to what extent our landscape was open but most now agree that our ecology grew up with – and needs, in order to exist – considerable disturbance from grazing and browsing animals (something that has been previously entirely overlooked) and plenty of opportunity for light. We cannot simply ‘leave it to wild nature’. As anyone knows, if you simply leave a piece of land with no interference whatsoever it will eventually end up in close canopy woods – ie when there is nothing present in the landscape to kick-start the system, all you will get is very species-poor habitat. This is what would have happened at Knepp had we done nothing. Introducing free-roaming grazing animals – obviously at low densities – can create the kind of competition between disturbance and vegetation succession that is hugely productive for wildlife, resulting in habitat complexity and structure variation – the ‘margins’ where most of life lives. Predators need space – and space, in our world, is at a premium. Of course a fully restored ecosystem with apex predators – such as Yellowstone or the Fagaras mountains of the Southern Carpathians – is wonderful but interesting processes can happen without them and on a smaller scale, and even in highly populated areas. Rewilding is not about always looking to pristine systems in the past. It is about habitat creation. In parts it may resemble what was happening before, but it is – essentially – about creating something to the benefit of nature within the constraints imposed on us in most of the world today. Of course the domesticated cow is a very different beast to the wild aurochs – but they are direct descendants, they have similar mouths, they still have four stomachs, and are vehicles for the same flora, bacteria, fungi and microbes. The Exmoor pony and other old breeds of horse are likely to have an even closer relationship to the original Tarpan. Red and roe deer will have changed very little. So I would argue, using a suite of species like this (and we would welcome the additional disturbance of the beaver at Knepp) creates the same kind of dynamism in the landscape that their ancestors would have generated. Our results at Knepp – having been a 3,500-acre intensive arable and dairy farm ‘desert’ until the year 2000– gives us grounds to believe that using domestic animals as proxies in a ‘rewilding’ project like ours is infinitely worth doing. 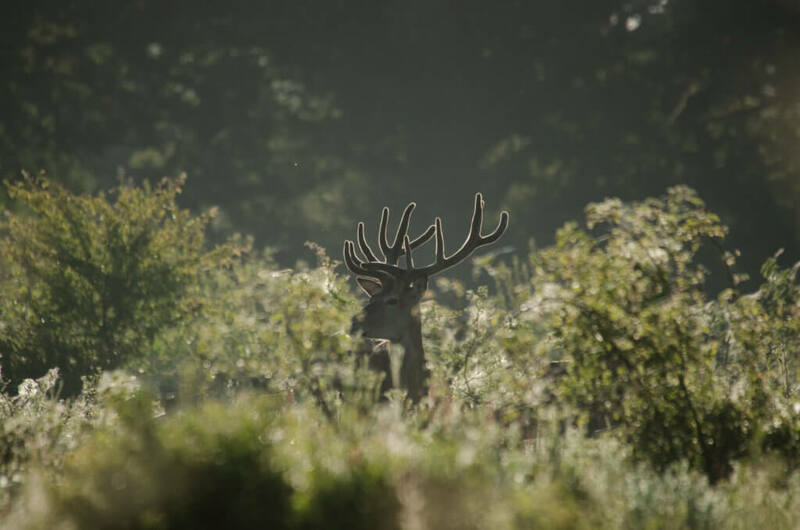 The habitats created by our herds of Exmoors, old English longhorn, Tamworth pigs, red, roe and fallow deer in just 16 years has encouraged the return of an astonishing amount of wildlife including numerous critically endangered species. We have one of the largest breeding populations of turtle doves and nightingales in the UK, the largest population of purple emperor butterflies, 13 out of the UK’s 17 species of bat, all five species of owl, nesting peregrine falcons – everything from ravens and lesser-spotted woodpeckers to mycorrhizal fungi and earthworms returning to our soils. 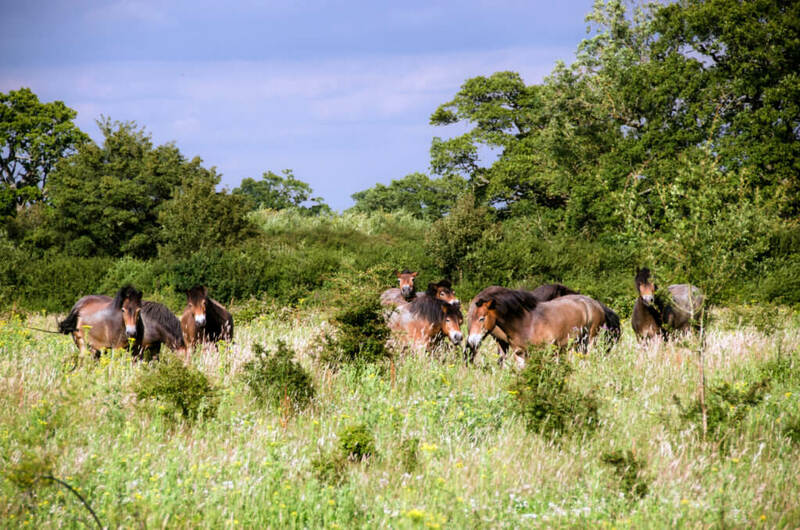 To correct Steven Robinson’s specific misconceptions about Knepp – the populations of all the grazing animals within the project are controlled since this is an enclosed area. This system – not unlike ranching – produces 35 tonnes of organic, pasture-fed, free-range meat. We have a healthy population of roe deer. We no longer control predators in the core area of our rewilding project (though tenant farms may be doing so). We are now monitoring our fox population to see the impact on our re-establishing colonies of ground-nesting birds like lapwing. The hope is that fox numbers will stabilise and reach an equilibrium. We do not shoot woodcock. Three years ago, as part of the GWCT’s woodcock research project, we satellite-tagged a woodcock at Knepp and have been delighted to watch its migration from a patch of scrub on Knepp to its summer nesting site in Finland, and back again, two years running, to exactly the same spot at Knepp. We are waiting with baited breath to see if she arrives back safely again in the next few weeks. In sum, rewilding – in all its various degrees across the spectrum – offers a way of reconnecting nature throughout our landscape. I hope Steven will come and visit Knepp to see what we are doing and engage with us all at Rewilding Britain. £2.54m in agri-environment payments over 10 years. Thank you for responding to my guest blog. I think its really important to have a discussion (thanks to Mark for hosting it by the way) that looks at the meaning of rewilding. To be blunt, I think it's a bit rich that you say that I do not understand the core principles of rewilding, when the term has been misappropriated by those who favour the use of domestic herbivores! There is a clear vision of what rewilding is, which originates from the U.S, so why are you referring to it as “process-led” conservation? Rewilding/wilderness/untamed/self-willed land all share the same goal of being free from the extractive activities of man. This is the definition of rewilding that I was using as a framework for my blog,which is based on - http://rewilding.org/rewildit/what-is-rewilding/ - Do you see that the page is titled - what is rewilding? This is at a landscape scale, but I did point out that rewilding can occur on a continuum - from small projects to core areas. I also recognised that nature sometimes needs a helping hand and that's why I highlighted the positive restoration work of Trees for Life and Wild Carrifan. I see that I have been labelled by some as a “purist”, simply for having a clear understanding of what wildness is, but I am pragmatic enough to recognise that wilding can occur in small areas and may need initial help. Establishing a core area is going to be a challenge. The UK is densely populated in its urban areas, but this is not always the case in the countryside and setting up at least one core area should be the goal (Rewilding Britain also share this aim). I agree that wild nature should be accessible to everyone and I did not write that it should only be in inaccessible, remote areas - that is your interpretation of what I have written. “In Europe the concept of rewilding has become distorted and diluted by geography, nature and culture. Some will say that most of Europe is too small, too heavily populated and too heavily modified to adopt such principles of continental scale rewilding initiatives that might appear threatening to cultural and political sensitivities. Or is it? May be this is just a convenient ruse perpetuated by land managers and conservation professionals to stifle a different view about the future of nature conservation in Europe? You are right that Frans Vera's work provides a different baseline for rewilding, but its not a correct interpretation of what a natural landscape, post ice age would look like. Have you read - The ecodynamics of clearance in the British Neolithic, by Mark Robinson (2014)? 1. By pointing out the dominance of T. cordata (small-leaved lime) a shade-tolerant, but grazing vulnerable tree, that was present over large areas of England by the mid-Holocene in the face of the level of grazing pressure that prevailed in the late Mesolithic. 2. Pollen sequences do not provide evidence for the open phases of ‘Vera cycles’ in the late Mesolithic, even though subsequent Neolithic clearances are visible in the pollen record. Vera suggested that the production of grass pollen in the open phase was suppressed by grazing, but very heavy grazing would be needed to completely suppress the flowering of grasses and grassland plants such as P. lanceolata (ribwort plantain). In addition, the proportion of scarabaeoid dung beetles, which feed on herbivore dung, is very low in the Mesolithic insect assemblages. - Using domestic herbivores without predation does not resemble a functioning system. -”We cannot simply leave it to wild nature”- this shows that you have no faith in wildland, so why give your project this name? - Rewilding is not about recreating the past, although knowing what a natural landscape without significant human interference is an important baseline – instead it is about future wildness and not solely focused on maximising biodiversity. - I struggle to see how the high nightingale, turtle dove and purple emperor populations at Knepp are solely due to the large herbivores that you use. - Any misconceptions I have about Knepp and its shooting policy stem from your website! Perhaps it should be updated, as it clearly says on the field sports page that woodcock are shot after the end of November, that you carry out a limited amount of predator control and cull roe deer. On the same page, it says that snipe and wildfowl are a much-treasured resource, its a bit unclear, but are they shot? Rewilding is not about recreating the past, although knowing what a natural landscape without significant human interference is an important baseline – instead it is about future wildness and more than maximising biodiversity. Steven - thank you for kicking off this discussion. Steven, what do you mean by rewildling at a site scale? That is to say, places too small, say 100 - 5000 ha, to support large predators? I can't see the difference, in the lowlands, between leaving it to nature and abandonment to secondary woodland. There's more space in the uplands, but I can't see full rewilding even in a Scotland post a new wave of Highland clearances let alone in the modern political landscape. And we know what lowland secondary woodland looks like; species poor, might improve over decades and centuries but will not begin to approach wildwood diversity in any meaningful timescale. There are 0000s of ha of it already, esp on old heathlands. The wildwood was a child of parents who are now long dead. Loosing great chunks of our existing biodiversity in the hope a new wildwood will rise spontaneously doesn't seem like a promising strategy. Excellent value for money then at just under £73/acre. It must be one of, if not the, best value agri-environment schemes funded by NE. Agree with your assertions about the openness of ‘primeval’ temperate forests: the continuous 8,000 year pollen record here at New Pond, Midhurst Common corroborates that. In short, your experiment can be summarised as being a highly scaled up version of Richard Maybey’s ‘unofficial countryside’. Or, rather Knepp is an example of an officially organised piece of ‘unofficial countryside’. We need more of both. Cutting to the chase – to do fast rewilding and urgent ethical -- how about rewilding the land ownership of this nation by introducing LVT, land value tax? At a stroke, this would inject fairness, innovation, variety, enterprise, biodiversity and buzz into a generally boring and depleted countryside. What’s there to lose? Jbc - did you read my blog? I wrote that smaller spaces can be rewilded by removing human control. I gave the example of Scar Close, where this has occurred when grazing was stopped. I also recognise that degraded areas may need to be given a helping hand if there is little chance of natural regeneration by planting trees/shrubs and using fencing. Once the restoration is complete the goal would be to step back and allow nature to take over - see Trees for Life/Carrifran Wildwood. Yes I did read your blog -that's why asked the question. I think in a roundabout way you've answered it; it seems you do propose abandoning sites in the vague hopes that the resulting secondary woodland becomes a species rich future natural wildwood. Which all the abandoned heathland and grasslands show no sign of doing yet, in some cases after more than 100 years. I can't speak to Scar Close - maybe that's a site that will indeed become more interesting without management, although whether that will be true in the long term remains to be seen. Not everywhere needs to be managed, and not everywhere should be managed the same, and I'd love to see more tree cover in our uplands. Carrifran wildwood looks like a fab project, but very interventionist on a very degraded upland site, hardly a more natural approach than Knepp (which is not to criticise either). But at 1600 acres it'll need to need to get a LOT bigger to be anywhere near being a self sustaining biodiverse ecosystem in the long term. Planting the trees is the easy bit, its getting the other 99.99% of the biodiversity to colonise that takes time and can be challenging if there's no source sites nearby. I suppose I can't see what you object to about Knepp if you like Carrifan. I'd like to see a lot more of both. For a "horse for courses" approach have a look at The Mens and Ebernoe Common NNRs (both SAC, both Sussex WT reserves). I was responsible for both for about 14 years. The Mens is "managed" in the non interventionist manner Steven advocates, and has been since it became an SWT reserve in the late 1960s. Management is limited to meeting legal obligations (mainly keeping the rights of way open and safe). Common grazing and timber harvesting faded out by 1880 so it's probably been left alone for 150 years now. It's a superb high forest, broken up by storms, well worth a visit, but it lost everything that doesn't need closed canopy mature woodland some time ago. Nearby is Ebernoe. Here grazing ceased in the 1950s, and the suite of open ground and wood pasture species were still clinging on when we reintroduced very low intensity grazing in the 1990s. Both sites are very biodiverse, but Ebernoe is unquestionably richer across a wide range of taxa. I'm comfortable calling both re-wilding. By the way, speaking as one, I've met very few practising conservationists who don't think allowing natural processes a bigger role isn't a good idea. I don't recognise the stereotype of people determined to continue traditional management for the sake of it, or who do it for the money (its nearly always loss making, by the way). They just have a practical appreciation that it's not as simple as letting nature taking its course and hoping for the best. Jbc - “It seems you do propose abandoning sites in the vague hopes that the resulting secondary woodland becomes a species rich future natural wildwood” - There is no prescripted path for wildland, but if the conditions are right, a site is likely to return to woodland. There is also more to wilding than maximising biodiversity. I recognise, that this will be more difficult for small areas (for wilding, big is certainly better), but certainly any site will become valuable the longer it is free from management, as it will be self-willed. Just to make it clear that my recent guest blog focused on the current state of rewilding. It wasn't about stopping all management in conservation. But for wilding, after nature has been given an initial helping hand, that should be the goal. Scar Close is already interesting by the way - grazing stopped in 1974. I do agree with you that The Mens became wilded once management stopped. My objections to Knepp are that it is farmland and not wildland. It is inspiring as a farm, and obviously, I would like to see more farms accommodate wildlife like it has, but calling itself the Wildland Project, just devalues the true meaning of the word. There should be greater aspiration for wilding in the UK than this and what is occurring at Ennerdale. Furthermore, I do not like that their approach is so strongly influenced by Vera's hypothesis, which I perceive to be severely flawed. At least with Trees for Life/Carrifran, they are basing their woodland restoration on what a natural landscape should be like. a) we can't be certain what the wildwood was like, despite your and Vera's conflicting certainties about it or indeed my own pretty strong conviction that you're both wrong. Probably we're all a bit wrong and a bit right too! c) we're really talking about what sort of *future natural* landscape we want; the one thing we can be 100% sure of is that it will not be the mesolithic wildwood reborn. 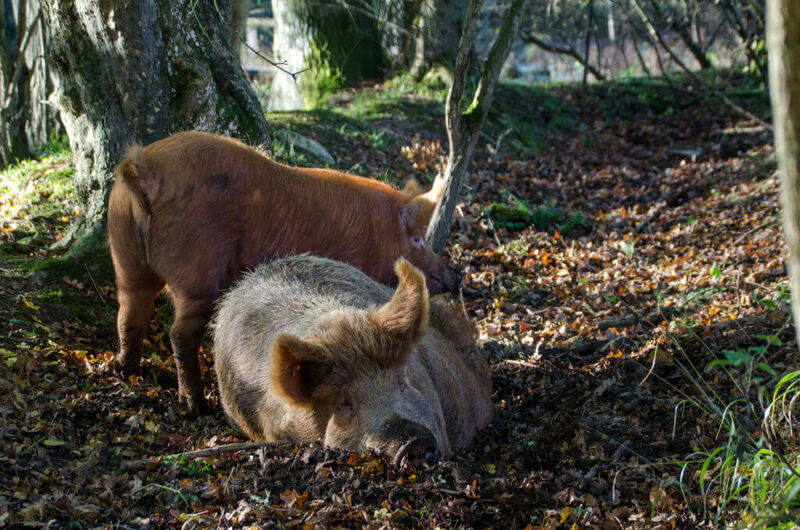 It seems you *do* object to any vision other than your own, and that you chose to dismiss anything involving domestic livestock as "farming" because you claim 100% certainty about what the wildwood looked like and what a future natural woodland should look like. Well OK, good for you, but other points of view are also legitimate. It's easier to be so certain of ones own rightness when one has no responsibility to deliver anything on the ground and no one to whom one is accountable. How do the people behind Carrifan know what it should look like? On the basis of what species they know [on the basis of what data?] were there at some defined point in the past? On the basis of what they think will do well there in the future climate of 2100? 2200? How do they decide what to plant where within the site? How close are the plantings? What will they do if a key species fails, say because without wolves the deer hammer it selectively? All these things are necessary judgements, necessary interventions, and since no-one can know for sure what the long term outcomes will be it's a lot more sensible to do Carrifran - with treeplanting a major up front intervention, AND Butcherlands at Ebernoe, with low intensity grazing but no planting on ex arable, AND Knepp, AND The Mens, AND Ennerdale, AND all the others and more. The future is uncertain, the necessary and brave decision is to embrace that and try different approaches without predetermining a desired outcome. That's allowing nature to take its course - standing back and learning from nature, listening to it, working with what it's telling you, not deciding "what a natural landscape should be like" in advance and then forcing it to conform to your desire. Steven - great previous blog, thank you. Knepp calling itself a Wildland Project doesn't de-value anything - it is what it is, one particular approach. I'm not sure there's an authoritative definition of 'wildland' or thus a 'true meaning of the word.' As others have said, aspirations for nature recovery site along a spectrum of approaches, all of which are legitimate, have their place, and have their critics. You may perceive Vera's hypothesis to be deeply flawed, but the nature of hypotheses is that they are presented to the wider science community for testing, through various means (including modelling, large scale manipulative experimentation, natural experiments (e.g. monitoring natural species comebacks for example)) etc etc. I've read Vera cover to cover and have found numerous problems and some very convincing bits. The body of evidence is growing - the jury is still out. I am somewhat doubtful, though, that bison and aurochs were adapted to live in closed canopy forest. But I may be wrong. Bison appear to select open, high biomass grassy habitats when available - closed forest tends to have low biomass at ground level (relative to the needs of herd forming mixed-feeding bovids). My guess is that aurochs were a bit more of a grazer - i.e. they needed more open habitats - than European bison. To my mind, Vera's variably open landscape would have been able to support viable populations of herd-forming wild cattle, whereas closed-canopy forest wouldn't. There's a mountain of evidence to demonstrate convincingly that large mammals - wild cattle and other ungulates etc - are very capable of maintaining open areas and inhibiting woodland development, across a suit of biomes from temperate to tropical regions. I heard Charlie's talk at new networks for nature event in September, and was inspired and intrigued enough to want to visit in the spring or summer. Regardless of whether one agrees or not with the Vera hypothesis, there is little doubt about the value, impact and viability of your approach at your scale of operation. The great thing about Vera's hypothesis is that it's just that - a hypothesis, to be tested by sound research, including through real-world experiments as at Knepp. Published evidence is mounting in favour of Vera, with less support for the closed-forest alternative. But in a sense, if one introduces the near-full suit of extirpated ecosystem engineers (or appropriate surrogates), it's a success whether the landscape ends up as closed-canopy forest or a mosaic of closed and open habitats. Not quite knowing what will happen is only a stress for those focused on clearly-defined species-specific quantitative ends objectives. Jbc – I agree with your points b) and c). Expanding on c) – I've repeatedly said that this is about future wildness and not about recreating the past (and I have never said that it will be the “mesolithic wildwood reborn”), although it is useful to get a baseline from it. Surely that's the beauty of wild nature and wilding – its dynamism and complexity, something that is difficult to predict, without a predetermined outcome? It seems that you are you implying that just because I do not work in the conservation sector or have inherited a 3500 acre estate - that I “am not delivering on the ground” - that my voice is less valid as I do not have any responsibility. Have you considered that an outsider's view may be valid, as someone who can see through a lot of the dogma that emanates from the conservation sector, especially around “naturalistic grazing”? In terms of Carrifran, how should the restoration be carried out - by guessing? Of course, it is unrealistic to turn back the clock, but what they are trying to achieve is something that resembles in some way a natural landscape by including all of the species of trees and shrubs that were present in the area prior to major human impact. They have done this through pollen analysis, historical records and inference from relict species in the valley and from the remaining ancient woodland fragments in the area. They used the Ecological Site Classification (ESC) to help them make decisions for what species to use, which is based on an assessment of climate (elevation, windiness and temperature), soil moisture and soil nutrient content and used varying patterns of planting. The aim being that this will later be fulfilled by natural regeneration. “That's allowing nature to take its course - standing back and learning from nature, listening to it, working with what it's telling you, not deciding "what a natural landscape should be like" in advance and then forcing it to conform to your desire”. Its pretty disingenuous to come out with stuff like this. Both of my guest blogs for Mark have been about giving nature space and reducing human control. I have said all along that restoration work is about stepping back once it is completed. I see that you are not particularly critical about Knepp basing their model on Vera's hypothesis, but I get it for offering an alternative view. Steven; you say "I see that you are not particularly critical about Knepp basing their model on Vera's hypothesis, but I get it for offering an alternative view". No, you don't. You get criticism for denying that there is any legitimate alternative view to your own. Your case seems to be based on two overlapping but ultimately independent core beliefs, both of which I and others assert are open to challenge. One, you are certain that large herbivores should play no significant ecological role in any project which aims to re-wild sites or landscapes. This is because you are certain that they played no ecologically significant role in the original wildwood. You have determined that Vera was (is) entirely wrong, but more than that. You assert that everyone else who thinks differently to you, in that that they think that large herbivores were and should be ecologically significant even if not to the extent that Vera does, are entirely wrong too. Two, any project that uses domestic animals is just farming, not conservation, or at least not any kind of rewilding. It hasn't come up, but if we could magic up tarpan or auroch I guess that while we would agree that having them on a site wouldn't be farming, you'd still be "case closed in advance" certain that they would not have any ecologically significant role. I think we may just have to agree to disagree. Thanks for more detail on Carrifran, by the way. They certainly did their homework, and I wish them all success. Something we'll all have to grapple with is whether we should be planning for future climate as well as looking to the past. By the end of the century the SE of England will probably have a climate more like 2016 Provence. If we are planting new woodlands, should we be including a proportion of non native spp that will survive in those conditions? If it is all a Chinese plot we can thin them out later, but if the 99.9% of climate scientists are right we may be very glad to still have any trees left at all in 2100. To be honest, my greatest fear is that this whole debate about the precise definition of rewilding will turn out to have been quite irrelevant in the face of climate change. Hi Messi – thanks for the comment about my guest blog and for your own contribution to this discussion. I think that Knepp's use of language is important. There is no clear definition of wildland for the UK, because we have no real experience of it, but there is a clear understanding of what it is elsewhere. In its broadest sense, it is land free from the extractive activities of man. This would include agriculture and therefore would include Knepp, since it is a farm. I believe Europe was a landscape of trees after the ice age, but with varying degrees of openness, stemming from climatic and edaphic factors and the behaviour of beavers in the vicinity of water. In his new book - The Making of the British Landscape, Nicholas Crane estimates that Britain would have had 20 billion trees after 5000-6000 years of warming. For mainland Britain that works out as nearly 247,500 trees per sq mile. That seems to me to be a lot of trees! I agree with you about large herbivores maintaining open areas. For aurochs, I think they are likely to have used the range of habitats available to them from the open areas of valleys and floodplains to woodland. Hi Steven. This is an interesting debate, and I find merit in most contributions. Where else is there a clear understanding of what 'wildland' means? I've worked in the US - the concept of re-wilding, wildland, wilderness etc mean different things to different people. I'm writing this from northern Colombia, where we're reforesting montane areas through assisted natural regeneration and encouraging seed-dispersers to quicken the process, but no-one here really knows what 'wildland' means - everyone I've asked at the ecolodge (visitors from all over the world) has a slightly different answer. I've worked on large mammals in Cambodia and the landscapes with wild bovid populations hanging on are well used by people (some areas have the remains of temples, so a long history of human use). In Borneo, conservation efforts span a spectrum as wide as in the UK. I could go on. So where is the term 'wildland' defined without on-going debate? Nature conservation everywhere applies tactics across a broad spectrum from areas with no or very little human impacts to high-yield farmland. That's fine by me. Regarding habitat use by aurochs, I see little evidence that they selected floodplain grasslands. Maybe they did form mixed herds with European water buffalo (which would very much have selected wetter areas) but it seems to me more likely that they were adapted to dryer open areas, like European bison. Not everything that's herd-forming and grazes could have packed into floodplains. The Knepp Estate was a very early adopter, and from this blog remains, an advocate of Vera's hypothesis that 'Temperate-zone Europe, was not ubiquitous closed canopy woodland but (rather) ... a mosaic of habitats driven, in the main, by herds of large herbivores.' 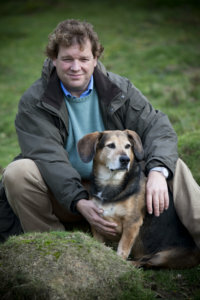 Charles Burrell goes on to say that 'Scientists continue to debate as to what extent our landscape was open but most now agree that our ecology grew up with – and needs, in order to exist – considerable disturbance from grazing and browsing animals (something that has been previously entirely overlooked)'. In his blog, Charles says that Vera 'demonstrated' this, rather than it being an hypothesis for testing. Curiously, searching on Google this morning for ' Vera hypothesis', the first two links returned are to papers made available via the Knepp website, both of which refute Vera's hypothesis. Mitchell, Fraser, J.G. (2005). How open were European primeval forests? Hypothesis testing using palaeoecological data. Journal of Ecology 93, 168–177, and Birks, H. John B. (...). Mind the gap: how open were European primeval forests? Trends in Ecology and Evolution 20 Issue 4. Charles' blog prompted me to go back and re-read Steven Robinson's earlier blog, https://markavery.info/2016/11/16/guest-blog-wild-rewilding-steven-robinson/. Steven's blog has links to a number of useful resources; I especially recommend British Wildlife , Volume 20 Number 5 (Special supplement) June 2009, at http://www.pyrenees-pireneus.com/Environnement/Rewilding/British-Wildlife-Perspective-Future-Directions-Ecological-Society.PDF. I have not visited Knepp, and living 600 miles to its north, I am, regrettably, unlikely to any time soon. It sounds a most interesting example of novel, extensive management. We need more of these. I just doubt that it is helpful to link it so closely to Vera's ideas, which subsequent studies have called into question, if not refuted. Fair enough. "... if not refuted" was a bit strong. But the rest of my final sentence still stands I feel. The sort of novel, extensive mix of management at Knepp seems well worth doing for its own sake, and for the results it appears to be delivering. Its justification does not have to hang on Vera's ideas, which could be a distraction. As Miles says below, "We need a Knepp in every county of Britain". Great article Charlie and great vision. This is really about making space for nature. In an environment that is largely so hostile it's hectares that are needed. An appropriate balance between naturalistic management and agriculture. I guess my only comment relates to your business model and its requirement for agricultural support? Do you have agri-environment agreements etc., and could you sustain the project without them? Well we all get excited by this rewilding stuff don't we. And we should! Conservationists are generally passionate people and we like to talk and argue about things. That's how we move the debate forward. In 1912 Charles Rothschild had the idea for a suite of Nature Reserves across the UK. I believe that concept of setting land aside specifically for wildlife was the most important conservation idea of the 20th century. Although there have been losses, even on reserves, we have yet to find a better way of conserving nature. However it wasn’t until 40-odd years later, in 1953 that the first NNR was declared, and the idea really gathered pace. So could rewilding be an idea of the same magnitude for the 21st century? And if so, are we now at that point in time where Rothschild found himself with the idea of nature reserves, and will it take another 40 years for rewilding to really gather pace and become mainstream, maybe even enshrined in legislation and policy? I am a fan of "letting go" a bit more, and whilst Knepp is a great example of a different land-use that has tangible benefits for wildlife, I would argue with the idea that if you let go "everything ends up as species-poor closed canopy woods" There are a lot of stages in between that, and if all management stopped now, succession would continue at a multitude of different scales and speeds, due to compaction, aspect, soil type, slope, moisture etc resulting in an extremely diverse landscape, and many areas would never go on to make woodland. There are many areas in the peak district for example that have been ungrazed for decades where a tall, but very species-rich grassland is perceived as a climax community, maybe the closest thing we have to "natural" grasslands. And anyway, sometimes we forget that woodland actually harbours the greatest variety of species if we give it time. So I think we need to try different things. Lets have some knepps and some ennerdales, but also some Carrifrans and lets start the journey. I’m very supportive of the view that rewilding is about a different way of thinking, not a set objective or a purist vision of wilderness untouched by man. Yellowstone NP is about 9000 sq km, but that’s not large enough to be a sustainable self-contained ecosystem. The Greater Yellowstone Ecosystem is more like 80,000 sq km, four times the size of Wales. Where exactly do the purists like Steven Robinson propose that we do rewilding here in the UK? So given that we can’t recreate wilderness (and in fairness I’ve set Steven up as a bit of straw man here, which I know is unfair, sorry!) the issue becomes what’s practical and deliverable and where. Knepp is an outstanding example of what can be done on the site scale, and a remarkably bold experiment for a private landowner to undertake. One thing that I think is missing from all the rewilding conversations, Knepp and Vera included, however, is the influence of Mesolithic people on the post-glacial landscape and by implication on what will be needed for a vibrant biodiverse future natural landscape too. You can call our ancestors elephant substitutes if you like, but the more we know about Mesolithic people (and modern era hunter gatherers across the world) it’s clear that they were very significant ecological drivers at a landscape scale. In the case of the native Australians, and probably the native North Americans, at a continental scale. Until we figure out how to replicate this influence, and accept our role in future natural ecosystems in the future, important pieces of the picture will be missing. At what point between the invention of fire and the invention of the A bomb did we stop being part of nature? It’s increasingly clear that Mesolithic people were very much part of how wild nature worked, and if we want to maintain or recreate the diversity of post glacial Europe we need to find a way to replicate their ecological influence. Wilderness or not, surely the incredibly impressive thing about the Knepp experiment is the sheer quantity of threatened wildlife on such a tiny area (by my sums .000109% of the area of England) - yes, it is big by nature reserve standards but we should be looking down both ends of the telescope - it would be rubbish that we can't 'spare' this land for nature even were it the best land. However, Charlie is not the only landowner winding down farming in this area - I was responsible for two farms close by, and in both cases the tenants had effectively given up real farming. If the CAP does end in the UK there are huge benefits in switching this sort of land into a planned, beneficial use as Charlie has done rather than letting it drift on in a sort of twilight zone that does nothing for anybody. I've been keenly following the developments at Knepp over the years and it clearly is a winner, it's a shame that the money isn't there to do it more widely, and it's left to a few visionaries. When the Lawton review "Making space for nature" came out I hoped we might see some real change. So far the current system of SSSIs and other nature reserves have failed to stop the rot, yet Knepp has demonstrated what can be done, in one small area. Allowing ecological drivers to operate rather than micro managing and wildlife gardening. Maybe removing intensive farming subsidies from poor agricultural land could drive a change in the way such land is managed and see more "Knepp's" come forth. One can only hope. Richard - welcome! Thank you for your comment. Re-wilding is a very emotive subject isn't it? Lots of different views and opinions, some in support and some criticize. I heard Charlie speak a couple of weeks ago and was very impressed. Not only did he have a vision but admitted that's it's a learning process, he doesn't have all the answers. For me it gave me hope that alternatives can be found in land management techniques that can be better for the environment, wildlife & still be economically viable. I am no expert in these things but surely it's better to trial these things rather than just talk about it or try to find fault in what others are trying to do. Charlie I'm sure could have turned to Pheasant shooting on large scale or similar but didn't, hats off to him and I hope this is used a possible model for others. For it to succeed long term we have to give it our support, visit these sites and if you can afford it go on a safari there, if it ever becomes financially difficult to sustain we would lose these areas where at least some of our wildlife can flourish. We need a Knepp in every county of Britain - and why not support them with public money? They are after all providing a whole range of public benefits, not just wildlife. I would like to see the National Trust "Knepping" some of their large estates which are currently farmed conventionally. After all, what is the National Trust for; producing conventional food via chemical farming, or protecting the countryside and nature? And let's see a brave Grouse Moor owner announce they are going to Knepp their Grouse Moor. It will probably end up being a net money saver, especially if they are supported from the public purse to provide public benefits like carbon storage and downstream flood alleviation. Keep an eye on the National Trust. They have the Wicken Fen Vison and Wild Ennerdale underway. There could be more, including a 'Knepped' estate. Find their new 10 year strategy and see what they are saying. And also hope for a changing agri-env subsidy system. Many thanks Charlie, I think you should be applauded for the experiment that you are carrying out at Knepp. It's great that we are having this debate about rewilding / wilderness / self-willed land etc, but I think it is so important that we don't fall into the trap of thinking there is only one way to deliver rewilding, and only one true definition of rewilding. To do that simply ignores critically important factors such as the constraints of the surrounding landscape. What is possible in densely populated West Sussex is inevitably going to be very different to that in the remote Scottish Highlands. Surely there is room for 'naturalistic grazing' models such as Knepp as well as the non-interventionist 'self-willed' models espoused by Mark Fisher and co ? Anyway - keep up the good work Charlie! Thoroughly agree, Joe, and there's not just one way to achieve nature conservation and recovery, either. We need options which farmers can apply across conventional farmland, i.e. skylark plots, tussocky margins to arable, flowery plots for pollinators and seed-eating birds. These options favour species able to persist on farmland with help. Having a few more Knepps doesn't mean we abandon efforts to recover biodiversity in conventionally farmland. Do both. We often need intensive management of surviving semi-natural habitat patches: there's a 3ha SSSI chalk grassland 'patch' behind my house. The best way to manage it is to continue to stick cattle on it as and when. It's embedded in intensive arable and will likely remain an isolated patch of outstandingly good chalk grassland for the foreseeable future. So tightly defined management is the right thing to do. We also need to take action for species unable to persist on farmland without serious conflict or simply because farmland is the wrong sort of habitat: bison grazing your wheat can be a real pain (bad example maybe - were bison ever in the UK? ); bitterns need wet reed beds. We need the large-scale, deliberate creation of specific habitats for specific species. Bitterns, again: the RSPB have created a series of wet reed beds with very tight specifications for water depth, percentage of open water, reed density, fish size and density. These sites are subject to very precisely defined water and habitat management. And the bittern population has boomed. These intensively managed sites provide 'source' populations that can go on to colonise less tightly managed habitats - at re-wilding sites, for example. The same with breeding waders: to my mind, you need a network of sites managed specifically for snipe, for example, to secure the population and create 'source' populations that will then spread to re-occupy vacated areas - some of which may be subject to re-wilding. People often state that the UK is ''densely populated.'' I often wonder how true that is. How densely populated is rural India, where one can still find megafauna? I used to encounter far more people in rural Cambodia when studying wild forest cattle than I ever have in rural Wiltshire, Hampshire or Devon! And even Wiltshire, with its intensive arable plains, hosts what I'd call something close to re-wilding, in scale at least - Salisbury Plain Training Area. It's 28,000 ha of chalk grassland includes a good portion of former arable land. Incidentally, wild cattle in Cambodia, banteng in particular, often congregate in open habitats, where there's enough biomass at ground level to sustain their herds - they tend to head off into the denser forest when disturbed. They're mixed feeders, browsing a bit, grazing a lot, just like aurochsen and European bison I'd imagine. I doubt a closed-canopy forest could sustain viable populations of European wild bovids - yet we know that the UK had aurochsen at least. I think we need to embrace the full mix of conservation interventions: simple steps in conventional farmland; intensive management of small surviving semi-natural habitat patches embedded within farmland; large-scale creation of specific habitats for specific species and with tight intervention; and hands-off management and species re-introduction at sites of various scales from a few hundred to tens of thousands of hectares. Regarding the crowdedness of the UK officially the UK is the 51st most densely populated country in the world, with an area of 242,910 square kilometres and 268 per square kilometre. Which sounds a lot, but it is just an average of the entire UK; most of the population is squeezed into a tiny corner of hell...I mean London and the South East. Once you move outside of that we are pretty open. We're only about 12% urban landscape in total. There is lots of room, we just have to learn to share it better. With each other as well as the wildlife. Yep, I think in this context an average for the whole of the UK is terribly misleading, massively distorted as it is by urban areas. Exclude urban areas, then ask what's the mean human pop density in the countryside, where rewilding might actually take place? In some countries the human population is largely concentrated in cities and suburbs, in others, the human population is much more spread out across the landscape (but the trend is still for folks to head to town). So, what's the mean human population density of, say, rural Sussex, excluding the south coast sprawl and inland towns? How does the mean rural population density of rural Sussex compare to the mean rural population density of countries retaining megaherbivores and their predators? Someone will probably work this out and tell me the UK rural landscapes are still massively more densely populated! Great blog again. You can download Grazing ecology and forest history from researchgate.net if anyone wants a read? Miles: I agree about the NT and I gather there are signs that it may move further in this exciting direction, given some encouragement, both on some of its lowland properties and in the uplands too. Regarding converting a grouse moor to a restored or re-wilded ecosystem, 8000 hectares owned by the Trust in the Peak District will have a gap in its tenancy shortly when the current disgraced shooting tenant is rightly booted off next year. So here's a real opportunity for the Trust to change tack and put an end to grouse shooting on this huge estate in a national park. By way of encouragement, the petition that requests the NT NOT to put another shooting tenant on this land but instead to restore and re-wild it needs more signatures if it is to carry any weight....so please sign up by searching for 'nomoorshooting' where you'll find background information and a link to the petition itself. Currently there are just 3032 online signatures which is a good start - but well short of the target. And if you are a NT member, writing direct to the NT CEO Helen Ghosh and/or the Regional Manager Andy Beer would also be very helpful. They need to be constantly reminded that we are watching them closely and hoping for a good outcome here. thanks Nick. I have signed the petition and also tweeted it so hopefully that should garner another few signatures. Have you managed to get a meeting with Andy Beer? Excellent blog. The most sense I've seen written about rewilding and I'll take the word of someone who has successfully achieved it over any armchair ecologist! The current model of agri-environment is hugely inefficient because it often contains too much agri and not enough environment. Post Brexit, we should develop a scheme that specifically encourages the removal of decent chunks of land from conventional farming altogether and reinstates natural processes....Knepp clearly works, so its clearly a good model. The numbers of large predators,even Lynx,that could conceivably exist in this country,will never make more than a dent in the wild ungulate population.I heard Charlie talk at my county wildlife trust recently,his is the way forward at present in this aspect of restoring some of our lost biodiversity. ''...will never make a dent..'' - my gut feeling is to agree, but is there quantitative analysis to back this up? i.e. some sort of modelling of potential predator densities, prey off take rates and population-level effects on prey species? Or is this your gut feeling too? How about looking at a combination of ungulate off take by both a low density of restored predators and human 'harvesting'? A combination of human and wild predation might do the trick? Probably right but that's not any good reason for NOT reintroducing lynx. Agree with Messi that a combined approach is needed. In Highlands we're not going to see wolf back for some time (and probably not in my lifetime) so coordinated culls together with some fencing and dogs to create "landscape of fear" in key locations will be required. But until we can somehow get underneath the reason for the large numbers (other than lack of a natural predator) then the problem will persist... i.e. the ridiculous notion that an Scottish sport estate is valued on its head of deer. I hear a lot about a Land Value Tax and how this might help. Fiscal measures will be needed as part of the mix, along with serious Land Reform, PES, etc. I wouldn't like anybody to get the impression from this that the rest of Sussex outside Knepp is devoid of wildlife! Not all of Sussex is so very densely populated and there is a lot of amazing wildlife, including much on the many farms that are doing incredible things for wildlife. Yes, there are nightingales at Knepp, but there are nightingales across large areas of Sussex in hedgerows and scrub and copses, and in fact Knepp does not stand out on the nightingale breeding distribution map for Sussex. There may be breeding peregrines at Knepp but there are breeding pairs all across Sussex on cliffs and buildings and pylons and trees; the same is true for breeding ravens in Sussex. Yes, Knepp has plenty of great wildlife but this should be considered in the conext of the surrounding area!